When I started my career in real estate two years ago, one of my college classmates asked me to be her Realtor for purchasing a new home. I was full-time, insecure and I had not even closed one transaction. The term “newbie” was an understatement. After months of searching, she and her husband decided to purchase a pre-sale in a subdivision. In real estate terms, building a house from nothing is called a “pre-sale.” Through my experience with buyers and builders, pre-sale is not for the weak at heart. You are seeing your dream home being constructed from dirt, and sometimes the buyer’s expectations are much higher than the results from the builder. Constant modifications, negotiations, amendments - my buyers were stressed, and so was I. On the Friday, two weeks before our closing, I went to my broker for advice how to endure this transaction until we closed. I truly believed real estate was not for me, and helping someone buy 1 house should not be this stressful. I wanted to be a kindergarten teacher again. While on the verge of tears in my broker’s office, she just looked at me and said, “Candle, no ma’am. You can’t give up. You just need to find something in this deal that can make the buyers happy and you happy as well.” I had no idea what she meant and left feeling defeated. That Sunday, I was asked to support an event downtown at a new restaurant in Atlanta. Not knowing all the specifics, I truly attended hoping food would be served, and I could sample the menu. I had no idea the event was a scholarship fundraiser for my alma mater. 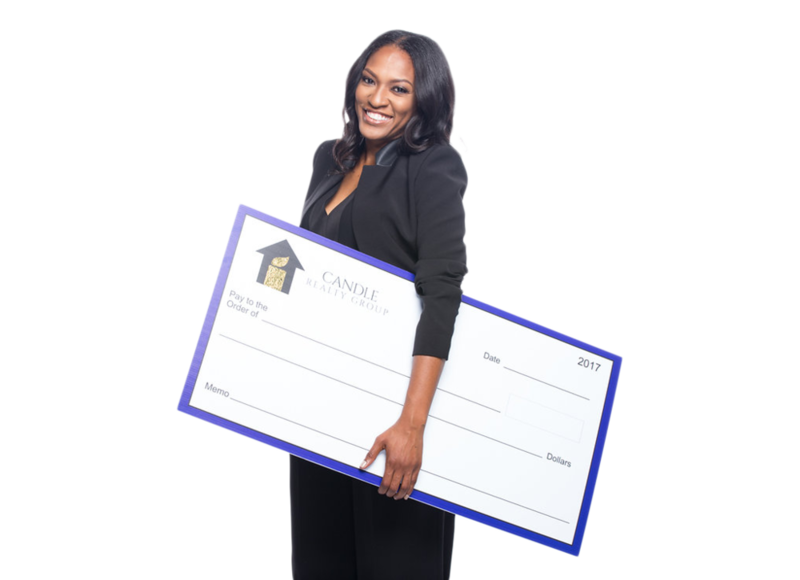 It was fate when I realized my client was a recipient of the same scholarship. It was then I had an “Aha moment,” that experience Oprah always talked about. When the universe has been trying to reveal your light for months, and you finally get it. It was an awakening. I was empowered to serve on a higher level and give something, my commission, without expecting anything return. You’re giving your money away…. Everyone will know how much money you make…. One of my favorite quotes is by Oprah Winfrey, “Do not surround yourself with pint-size people when you have gallon-size dreams. They can not handle the overflow.” These beliefs and comments were the insecurities of people that I needed to be removed from my circle. It’s all a distraction when your purpose is bigger. On closing day, my clients were beyond excited. After 7 months of building, the wait was finally over. My classmate and her husband received the keys, and I donated a part of my commission to our alma mater in honor of our friendship and the education we received. Through this home purchase and many others, my clients and I have planted seeds bigger than we could imagine. I now give because I have been given to. Every real estate transaction will not be perfect. There are times when I cuss and scream and want to walk away from it all. But when you live in your purpose (a.k.a. your why) and love what you do, it’s a reason to get out of bed in the morning. I live to give.